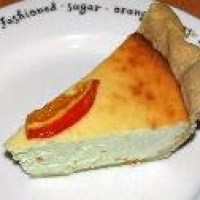 This pie is as creamy and good as a cheese cake but much easier to make. Great for any special or not-so-special occasion. Thinly slice your tangerines however you like. The rounds are hard to keep their shape once they simmer the slices keep their shape better. Simmer gently for 20 minutes. Then let drain on a wire rack to cool (put foil underneath to catch the sugar drippings). Continue to simmer the sugar solution for another 10 minutes until syrupy and reduced. Set aside to cool and use for later, and other uses . 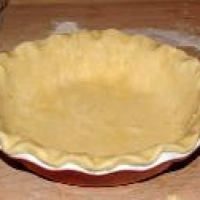 Ready your pie crust by rolling out and placing in a 9" pie plate but not deep dish. After putting on the pie crust, weigh the pie down. 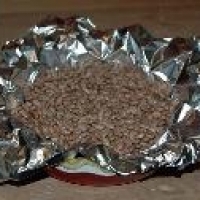 Place foil shiny-side down on your pie in 2 layers, and place inside pie weights, dry rice, or dried beans. Bake for an additional 2 minutes.Remove and let cool. Beat the ricotta with the sugar and honey until smooth. Add in the eggs one at a time, beating in on a low speed until fully incorporated before adding the next. Mix in vanilla, cardamom, and candied tangerines. 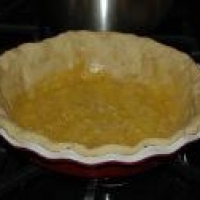 Pour into the cooled pie crust, and bake at 350 for 45 minutes or until center is set. 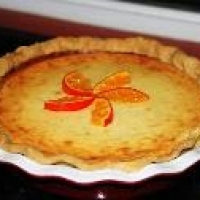 Glaze the top with the tangerine syrup and arrange tangerine slices however you see fit. 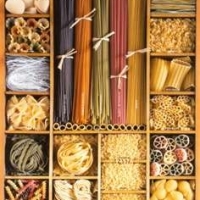 Can not wait to make this for my mother!